'Royal Escape' persuaded me that what my life has been missing of late is a certain swashbuckling element and so the time seemed right for 'The Master of Ballantrae'. This is the first Stevenson I've read aimed specifically at adults and perhaps the first time I've really understood how good he is. For a Victorian novel it's really quite short, just tipping over 200 pages, which makes the amount of action crammed in even more remarkable. Properly the book's title is 'The Master of Ballantrae: A Winter's Tale' something that my copy doesn't make explicitly clear until you read the introduction, which I never do until I've finished a novel. The book was conceived in the winter in a cabin in the Adirondacks where eventually all the action will come to a head, the two great set pieces take place at night in the dead of winter when "there was no breath stirring; a windless stricture of frost had bound the air; and as we went forth in the shine of the candles, the blackness was like a roof over our heads." There are a few times when Stevenson will throw in something like this, not only a thrilling scene to visualise, but one which would make me pause and re read whilst I did so thereby heightening the tension in those key scenes. Winter holds the book together, it's worth having that in mind as you go into it. 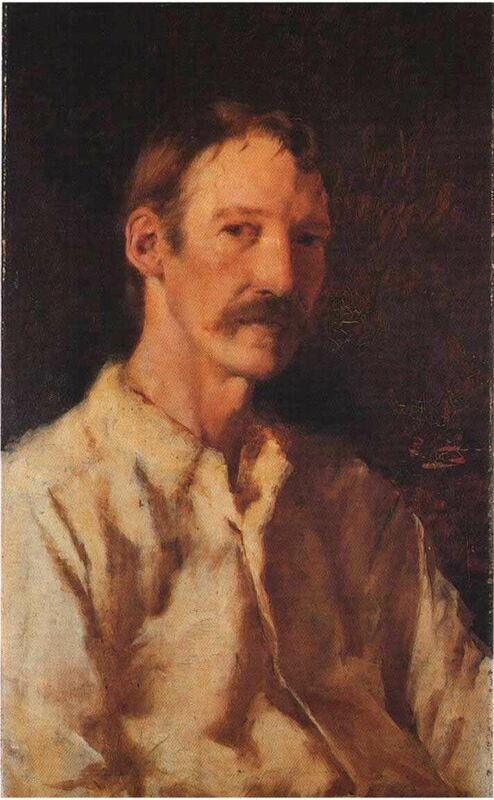 The other clue to the text is Stevenson's claim that the Master is all he knew of the Devil, if this is so he knows how to make the Devil charming almost to the point of sympathy... The story starts in 1745, old Lord Durrisdeer has two sons; James, the Master of Ballantrae his heir, and Henry the younger boy, there is also a ward, Miss Alison, an heiress, promised to and in love with James who is however somewhat indifferent. Not so Henry who loves Alison deeply though she's somewhat inclined to despise him for it. The family, especially the younger generation, are Jacobite sympathisers but they're also canny enough to hedge their bets so it's decided one son will go to join bonnie Prince Charlie, one will pledge allegiance to King George in which manner the estate should stay safe. Both brothers want to go but eventually it's the Master who gets his way, riding off the very figure of a hero and the darling of his family. The problem for Henry left behind is that come what may his position will be a false one - and so it comes to pass. The Master rides at the knee of the Prince, the very image of romance, especially to the waiting Alison, but then comes Culloden, defeat, and news of his death. Henry is widely abused in his new position, and not even marriage with Alison improves his situation - she to clearly still cherishes the Masters image, so what will happen when it transpires he's alive, well, in Paris, and rather in want of vast sums of money? It's during this part of the book that the Master is most devilish. He holds an illogical hatred for his brother Henry who he manages to persecute first from France and later back at home until that candle lit reckoning. The Masters second exit shifts the dynamics of the family but improves no-ones happiness. There's a precarious sort of balance in affairs but always a sense of impending disaster, the Master's next appearance bids fair to bring it to a final climax but here the tables have turned somewhat. 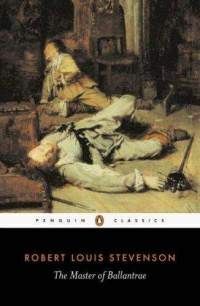 He has been exposed within his own family, and to an extent outside it, he's still a dangerous man but now he has to work a little harder which allows Stevenson to let the Master charm the reader as well as his narrator. Its tremendous stuff that makes me keen to read more Stevenson. I had an email today publicising a competition to celebrate 15 years since 'Harry Potter and the Philosopher's Stone' was released onto an unsuspecting world. I'm an unashamed Harry Potter fan, I discovered him in the summer of 1998 when I was working in a bookshop. People kept telling me I MUST read this book which I thought was nonsense because a) that sort of thing really puts a person off, and b) it was a children's book. Eventually however I gave in and like so many other people was hooked. I have great memories of the various Potter launches after book 3 when it started to get really big - the time I sneaked out of my mum's with a friend in the dead of night (I was there because she was taking me to an airport at 5 the following morning) to go to a bookshop, and the time a neighbour bookseller set up a treasure hunt for my little sister and her friend (and me) to find the books, again in the dead of night, are the highlights. Back in 1998 when I worked in that bookshop children's writing really wasn't taken that seriously regardless of the quality of the books, I think it's safe to say the landscape has changed somewhat since then and not least because of J.K. Rowling. However you feel about the books there are good reasons to celebrate Harry hitting fifteen - and if you are a fan, well check out the competition here. I find the books I read lead one to another in a fairly natural progression; something will catch my interest and send me down a path, not always the one I expect, until eventually my mood will change or a novelty will intervene that sets me off on another path. Sometimes though it all comes off the rails a bit - as at the moment. I have a little stack of books I had meant to read over the next couple of weeks, review copies mostly (and they all look so good) but my heart isn't quite in it and I can't settle to any of them which wouldn't matter so much but that I'm struggling to think what I might like to read, and that matters because reading is my coping mechanism for all sorts of things and if you're reading this you're probably the same. 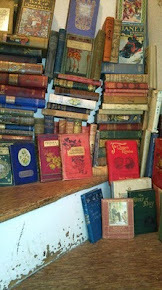 In a slump like this I will either turn to short stories or Georgette Heyer. I think 'Royal Escape' is new to me, I certainly didn't own a copy though see it was in print when I bought the rest of my collection. 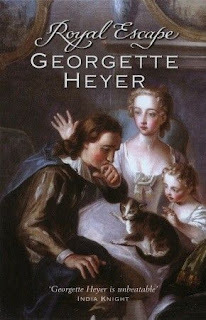 It may (inexplicably) be that it just didn't appeal to me at the time, it's a rare and wonderful treat to find an unread Georgette Heyer after so many years of being a fan which is why I ordered this book even though I didn't have the highest hopes for it, and as nothing else was appealing I picked it up. I don't know why I had such low expectations, perhaps because I'm a snob about actual history being mixed with romance. I ought to have had more faith In Heyer. There is a touch of romance, but with the exception of making Mrs Jane Lane a beauty (contemporary accounts, and portraits, describe a plain woman) every detail I've researched has proved to be essentially accurate. I knew Heyer was notorious for her meticulous research, know too how good a story teller she is, but had forgotten how good history can be like this. When I was at school the History we were taught had a distinctly Marxist edge to it, which is well and good, but you can't beat Kings and Queens for a decent story. I know marginally more about the restoration than I do about the commonwealth years but precious little about either. 'Royal Escape' kicks off with the battle of Worcester, the young King Charles II is trying to rally the Scottish cavalry into action but they won't budge, the day is lost, the King escaping by the skin of his teeth with nothing but the cloths on his back. A troop of cavaliers ride through the countryside desperately seeking a safe haven, finally they reach a friendly house. There they trust the King to a sympathiser before continuing the flight for their lives. What follows is six weeks of desperate hiding and searching for a way to France. There's the bit with the oak tree, and the escapade with Jane Lane. The King disguised himself as a groom with Jane riding pillion behind him to the house of a friend near the coast, they even rode through a troop of soldiers without him being recognised. It was a huge risk, capture would have meant death for all involved, there was also a reward of £1000 on the Kings head, a fortune to many that he encountered and yet still he manages to escape with their help (not much of a spoiler, we know he survives to get his throne back). Heyer does a good job of making the 21 year old King a man you can believe in - young, arrogant, charming, and charismatic. She takes the bare bones of history and fleshes them out into a tense drama, some of it is romance, but when I read history like this it really does fix in my imagination and after all that's what drives you to learn more isn't it? Well madness is a bit of an over statement but I find both solstices unsettling. I would for preference be no further south than here tonight, and one day I would like to spend midsummer actually within the Arctic circle. There is something about night failing to fall that has a hint of magic and mystery about it, it's not always conducive to sleep and can make quite ordinary things feel somehow illicit (I've not yet lost the 'up past your bedtime' excitement of childhood). Unfortunately the Scottish one can't take holidays until July so it's a few weeks before we'll be heading North - there'll still be a lot of light, but seeing as the weather looks so good today I can't help but wish I was there now, with the end result that I feel restless and can't settle to much. This has certainly effected my reading, I have finally started another book but wasted the weekend and more in dithering about over what to read next (all these books and not a thing to read, not even the new books were enough to tempt me). Not being in the middle of a book is another thing that makes me feel unsettled (like going out before you realise some vital piece of clothing is missing) and by Monday night I was slightly frantic about it until a chance reference to Beauty and the Beast made me pull Grimm's fairy tales of the shelf. 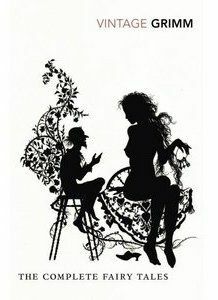 Beauty and the Beast is a favourite fairy tale, and not incidentally one of the Grimm brothers oeuvre, but there was enough in there to find something to match my mood. I've started putting some of my books on Library Thing - specifically Virago books, and mostly in the hope that it'll stop me buying duplicates and missing bargains which I fear might be duplicates. The good thing about doing this is that I keep finding great looking books I've yet to read. The bad thing is that I've somehow lost 'Some Girls, Some Hats and Hitler', it can't have gone far - I had it yesterday, but although my flat isn't large it has many piles of books in which one slim volume can hide. It could be a while before it turns up again so although I don't like to write about a book when it isn't to hand I'm going to just this once (before I forget to much about it). I love me a book with a pretty cover - which is what I first noticed about this one. It's so pretty that I overcame my prejudices about potentially tear jerking memoires involving Nazi's (which is not to make light of the terrible things that happened to people). 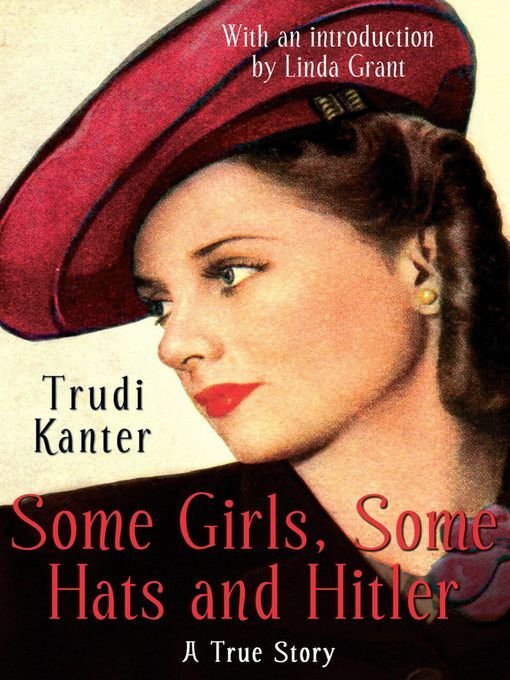 'Some Girls, Some Hats and Hitler' is however something a bit different, Trudi was a succesful business woman and designer running her own thriving millinery studio. 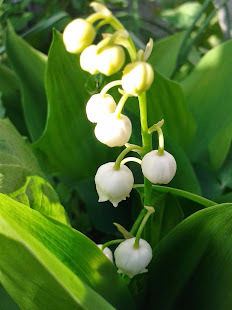 Her first marriage broke down, but seemingly amicably, and she fell in love with the equally successful Walter (handsome and cultured with plenty of money and a gift for invention). There relationship is passionate and possessive, both have a jealous streak and Trudi does not trust other women with her Walter. There days together in the Vienna of the thirties are a round of cloths and food and fun. Coffee and pastries at Demel's, shopping, dinners with friends, and beautiful flats full of luxurious trappings - Walter and Trudi are popular and happy, they're Jewish but not very devout (Trudi talks a lot about various pork dishes she eats, perhaps to make this very point?) and there in lies the problem. On a buying trip to Paris in early March 1938 Trudi realises the extent of the danger she and Walter are in, everyone begs her to stay in France but when she calls Walter to try and persuade him to join her he won't budge. It leaves her with little choice but to return to try and persuade him in person. She gets back to Vienna just ahead of the Germans, the Anschluss closes the borders and the couple are trapped. Things change overnight, Trudi genuinely seems to have no enemies, her employees, the building doorman, her neighbours all protect her. Walter isn't so lucky, someone has a grudge and wants him out of the way. His flat is appropriated, his car stolen by garage mechanics, his life quickly dismantled. Trudi turns all her considerable energies to finding a way out of Austria for the pair of them. It's a tense process full of unbearable delays but finally she has them on a train to Czechoslovakia. This is where I really warmed to the couple, Trudi as she describes some of the awful things that happened around her is clear sighted enough to understand how mob rule works, she also remembers all the small acts of kindness that get her out. Her carefully balanced account makes an anecdote about a customer all the more powerful, the girl is a Viennese courtesan (high class enough to afford Trudi's hats) famed for her lovely breasts, she survives the camps only because she's turned into a whore. (I can't quote because I've lost the book, but it's a stark insight into the reality of a situation). In Czechoslovakia the couple try and warn Walter's family to flee, they in turn are warmly pressed to stay; the family feel safe, treat the couple with open handed generosity, none of them survive. From there they finally get to London where for the first time they meet with hostility where friendship might have been hoped for. Walter's uncle will give only the most limited help and no hospitality, but it doesn't stop Trudi - she's now determined to get her parents to England as well, something she manages despite the odds, but happily even in England she has influential ex clients and the couple haven't lost their ability to make friends. In a cruel twist Walter and his father in law end up interred as enemy aliens (a really shameful part of our war effort) so Trudi sets about getting them out. For all the difficulties the family meets they are the lucky ones. They come out alive, together, and even manage to salvage some of their belongings. Trudi is an amazing woman, nothing is to much for her if it will help Walter and her parents, she simply never gives up. It's not a perfect book, there are sometimes small anomalies that make you suspect she's skirting around things that she might not care to dwell on - but that's the autobiographers prerogative. It's a story that's worth telling though, and certainly worth reading. I know I mostly write about baking here, but cooking generally is something that gives me real pleasure - especially when it's food to share. Somehow cooking for one is less satisfying, most likely because I end up with a lot of something which I'll then have to spend a week working through, something I've not taken as much care over, or something that's quick but not very exciting. I'm lazy when I only have myself to please, so it's perhaps lucky that I'm given to enthusiasms for different foods which galvanise me into action, and demand some care and attention (it's even better when the quantities can be adapted for one). 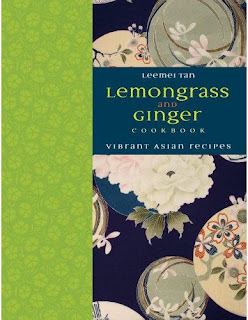 'Lemongrass and Ginger' was waiting on my doorstep when I got home yesterday, it's proving to be a hit. I had a friend coming for dinner and just had time to change my cooking plans. An emergency dash to M&S got me some Nam Pla fish sauce which was all I lacked to make caramelized salmon with pineapple. It's a recipe that apparently has it's roots in Cambodia and Vietnam (that at least is the chapter I found it in), is a combination I wouldn't have considered off my own bat, and was really very good. Bar Chinese and Japanese food I normally steer clear of Asian dishes - I have a pathetically low tolerance for hot food (not a curry girl) which makes me unadventurous when it comes to restaurant choices. That in turn has led to a small frame of reference, separate books dedicated to the cuisine of Cambodia, Thailand, Sri Lanka etc. would be underused in my kitchen. A book that nods to all of them is a different matter. The great thing about cooking at home is that I can seriously back pedal on the chilli where others might ramp it up. On a roll I made braised pork ribs tonight - without doubt the best I've ever cooked or eaten - despite having to improvise with a couple of ingredients. Both these recipes are keepers and I have plenty more bookmarked. I hadn't realised but 'Lemongrass and Ginger' started life as a blog which will be interesting to explore (although, and I find this interesting, so far I like the book far more). It is the most beautifully produced object - the cover particularly is delightful (if you were judging by covers this one would win every time). The pictures are a good mix of informative and decorative and although the two recipes I've tried were at the simpler end of the scale they're well laid out and easy to follow. The one thing I find daunting about this type of food is the number of reasonably specialist ingredients you need, and the number of things that can go into each dish - fine if you cook this way all the time, not great if you only want to dabble (and not spend a fortune), so having a few recipes which only need a few things is appealing. Most measurements are in spoons and cups - something else I find appealing, and there's a really handy looking set of basic recipes for making various pastes - all designed to make the exact amount for it's specific recipes which seems amazingly sensible yet is quite rare. Finally, worth saying again - those braised pork ribs were fantastic (vegetarians might want to look away now). My second book in translation of the week - and I have to admit this one was far more baffling than 'The Treatise of Walter of Bibbesworth'. 'The Murder Of Halland' is the latest book from Peirene, it's billed as a crime novel and whilst Halland is murdered (as the title suggests) and the police are called in that's where any resemblance to traditional crime writing ends. I'm a little out of my depth here - I don't read much contemporary fiction and stick to decidedly cosy crime so I don't know quite how atypical this book is, but I'm guessing it's by way of being one of a kind in it's genre. Bess and Halland are a successful semi public couple; Bess is a well known writer - she never reveals what Halland does, maybe because she doesn't know. They've lived together for ten years, ever since Bess walked out on her husband and teenage daughter, an action that seems to have precipitated an estrangement from most of her family. The action kicks off a couple of pages in with a bang at the door and a local caretaker trying to perform a citizen's arrest; Halland has been shot - his dying words apparently implicating his wife. Bess however isn't Halland's wife, they never married, and this is the first of many ambiguities. It's Bess we follow as she deals with what happens after your lover is shot down in the street. 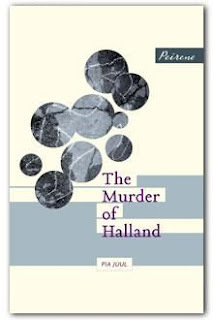 This is where the book diverges from traditional crime fiction, neither Bess, or Juul - and perhaps by extension the reader, are really interested in who killed Halland although there are tantalising clues regarding a double life laid out for us. 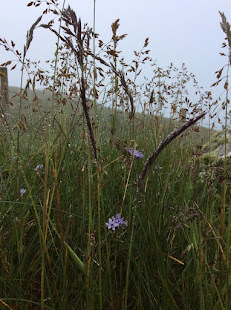 Bess grieves for the man she's lived, though hardly shared, her life with for a decade but Halland's murder makes it clear that there was little between them; a year of happiness followed by 9 years of illness and slowly separating paths. For me however the focus of the book, the thing that kept me turning the pages, was the relationship between Bess and her daughter - Abby. Abby hasn't spoken to her mother since she left, the question is with Halland gone will they reunite? It's a book full of questions with few answers, Bess is an unreliable narrator, she's also hard to like - but she's easy enough to empathise with. I feel like this book shouldn't have worked for me, but it did. It may not be particularly satisfying as a piece of detective fiction, but as an examination of grief, and dysfunctional family dynamics it's excellent. 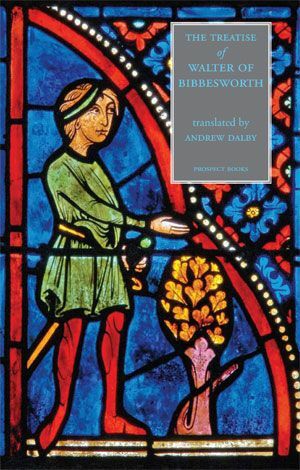 Prospect books sent me 'The Treatise of Walter of Bibbesworth ' a month or two back - my initial response was one of slight trepidation, but I have fond memories of Chaucer from 'A' level days so decided I was up to the challenge. Chaucer turned out to be utterly irrelevant, the Treatise itself translated by Andrew Dalby for Prospect is however is oddly beguiling. The history of the treatise is fascinating; written by Walter of Bibbesworth (a Hertfordshire gentleman) sometime in the 1230's probably as a wedding present for his friend Dionisie de Anstey when she made her second marriage, and with it a considerable step up in the world. Both Walter and Dionisie came from minor landed families, Walter was something of a soldier and poet - both of which presumably improved his French. 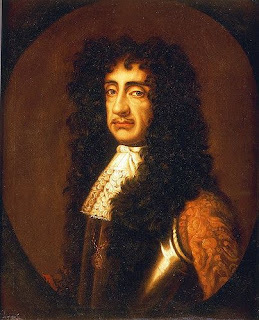 Dionisie, as an attractive young widow, caught the eye of Warin de Munchensi - who seems to have owned a considerable chunk of southern England, he was also a widower having been married to a sister of the Earl of Pembroke, hereditary Marshal of England. Dionisie's step children were connected with, and would be on visiting terms with, the royal family, the little girl - Joan - would grow up to be the most eligible heiress in the country. As part of the Anglo-Norman aristocracy the de Munchensi children would need to speak French and it would be Dionisie's job to teach them though at the time of her second marriage it seems that she was by no means bilingual and this is where Walter's Treatise comes in to play; it's a long poem in Anglo-Norman French designed to explain the grammar, names of things, and how to avoid mixing up similar sounding words, and meant to be read by Dionisie with the children. Anglo-Norman is not something I knew much (anything at all) about before reading the excellent introduction to the Treatise, but I'm interested by it now, just as I am by the idea that there are dialects in America that are closer to Elizabethan English than anything now to be found in the UK, (or the tantalising loss of the old Norn language from Shetland, Orkney, and Caithness by the mid 19th century). The French spoken in England was based on the language as it existed in Normandy at the time William came and conquered, after that Anglo-Norman and French diverged, by the time the treatise was written it couldn't be taken for granted that noble families would be naturally bilingual - French needed to be taught, and at the same time words are being borrowed and assimilated into both languages. Unlike reading Chaucer - who has a story to tell rather than a language to teach, the Treatise loses quite a lot if you only read the translation. There are bits that don't make much sense if you can't see the French version and appreciate the rhymes and homonyms that would have made the lessons both easier to remember and so important. There are however plenty of bits that stand up by themselves - mostly the descriptions of food (Haggis gets a mention! ), feasting, and brewing, but also a lovely section on the sounds that different animals make. All in all it's a fascinating read; there is so much detail about medieval life, but also the undeniable charm that comes from it being a book meant as much for children as their educators - something which gives scope for jokes and a general light-heartedness. Forgotten about for a long time before being rediscovered in the nineteenth century the Treatise certainly deserves to be better known and more widely enjoyed. For most of my baking life it's been a source of mild frustration and disappointment to me that my scones were not all that they might be (they didn't rise nicely and who wants a stubby looking scone?) but in the last couple of years it's all come together - I might not win any prizes but you'd almost certainly want another if you tried them. This is mostly due to the the Scottish one and our joint love of afternoon tea. At home I'd bake a cake (with my Kitchen Aid, well stocked store cupboard, range of tins, and oven whose idiosyncrasies I understand), away nothing beats a scone for simplicity - or so I thought. The recipe I use is, along with pound cake, the only one I don't need to check. It calls for the oven to be turned up to 220 degrees C, 8oz of self raising flour, a tablespoon of sugar (optional), 2oz of butter not to hard, and about 150mls of milk - or enough so that the mix all comes together and is only just not sticky. Mix the sugar, flour, and butter into sandy breadcrumbs as quickly as possible, stir in the milk, pat the dough into a disk about an inch thick, cut out the scones (you get six nice big fat ones from this recipe) stick them on a baking tray and into the oven. Quickly wash up and then put the kettle on and make a pot of tea, by which time (10 to 12 minutes) the scones should be cooked. 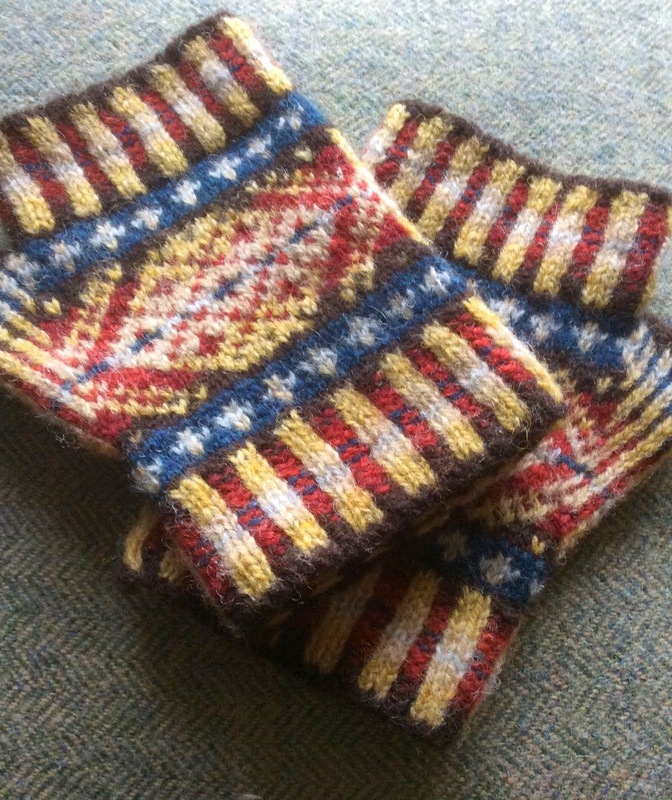 Let them cool whilst the tea brews and then eat them. Scones don't keep well so there's every reason to be greedy. I'm bringing this up because scones are essentially a cult item in our relationship and we're given to (reverently) discussing them - this time because I'd been browsing through 'Tea With Bea' and read her (frankly iconoclastic) version. 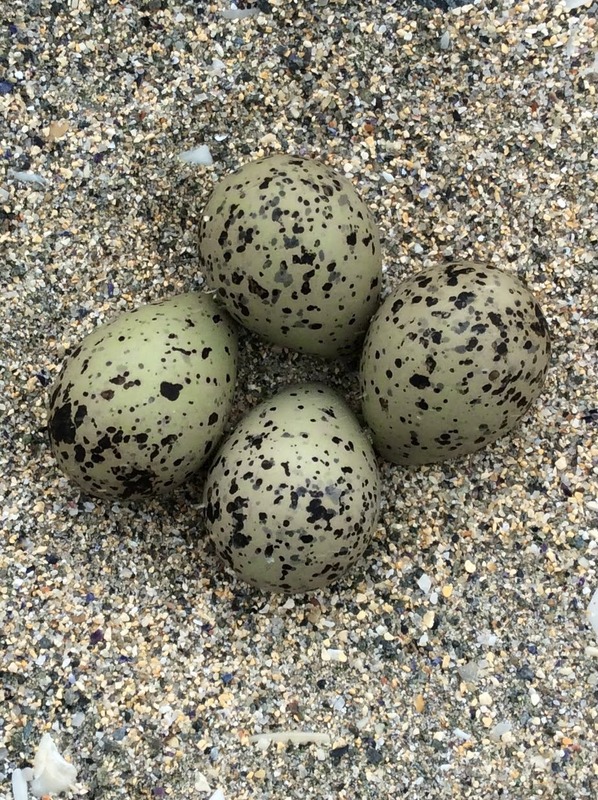 There are eggs and a lot of chilling and waiting and chilling and fuss and whilst it seems likely that the results would be delicious I don't hold with it. Some browsing on line (I have an action packed life) revealed a whole lot of scone fiddling - I'm here to make a case for keeping it simple. I don't believe scones should be 'ultimate' or complicated. The best thing about them is that you can think a cup of tea and a bite of something might just hit the spot and be eating one a whisker under half an hour later. They should be cheap and easy - the kind of thing it's no bother to knock up in a strange kitchen. Obviously they deserve a bit of love and care - to be anointed with only the finest jams, and cream whipped to softly fluffy perfection, but it's the almost instant gratification that makes me adore them so. It's right and proper that individual bakers have their own quirks (some swear by a drop of lemon juice, cream of tartar, yoghurt...) but I believe the real secret is practice. After a while measurements become superfluous, you know when it looks and feels right, after which a lifetime of smug satisfaction awaits. 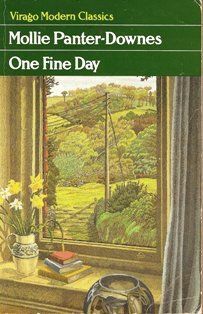 This is the second time I've read 'One Fine Day' and the second time I've been underwhelmed by it which disappoints me because I want to love it. It's a book that seems to be universally admired by my reading peers, compared favourably to Virginia Woolf's 'Mrs Dalloway', it even makes Simon's list of 50 Books You Must Read But May Not Have Heard About, all of which makes me feel like I've failed where others have succeeded. The book follows a day in the life of the Marshall family, mostly from the point of view of Laura Marshall. It's 1946, her husband (Stephen) has returned safe from the war to find that they may be losing the peace. War has aged Laura beyond her 38 years, and turned their daughter, Victoria, from a scrubbed infant in her blue dressing gown with a rabbit on the pocket, into a scruffy and distant adolescent. The staff that made the Marshall's house so pleasant a place to be are all dead and gone, keeping it up is a war of attrition that neither Laura or Stephen are quite up to but nether the less they continue to try. Truthfully I prefer books that are rather more plot driven than this one though. The writing is beautiful and should another opportunity present itself I might try and read it through in one sitting; I find with books like this that I enjoy them whilst I'm reading but the moment I put it down it becomes an effort to pick up again without that imperative need to find out what happens next regardless of the quality of the prose. I'm also ambivalent about Laura - she is a hopelessly vague dreamer; she leaves the larder door open so that the cat steals the fish, her cakes sink or burn, her milk pans boil over, and she's responsible or the most appalling phone bills. It's meant to be endearing, admirable even, but I find it frustrating that after so many years of war she hasn't adapted a little more. I empathise with the feeling of being imprisoned by a convention which insists one eats in some state in a dining room, and which won't allow Laura and Stephen to settle comfortably in the Kitchen for their supper, but am impatient with a woman who's a fool about money because it's considered non - U for women of her class to understand it. Otherwise the meditation on what absence does to a marriage is both subtle and moving, as is the relationship between Victoria and her parents. She's growing up at home in the world she finds around her and relatively free of the social nuances that mean so much to the older generation - her generation will indeed win the peace. It's an interesting book, and I will say again - beautifully written, very many readers whose taste and opinions I trust adore it, and it may be in a different mood and place I'll adore it too but for now I'm just not sure. It's been a long week and I'm shattered, the Royal family may or may not bring in tourist pounds but I can promise you big state occasions make people spend, and spend, and spend some more. It also makes our logistics department lose the plot on stock allocations so there's been lot of wine to move about and not much time for anything else - even reading. 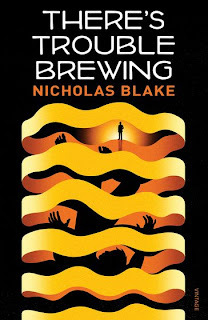 What time I have had has been devoted to Nicholas Blake who continues to delight me. 'There's Trouble Brewing' is set most appropriately in a brewery - an industrial setting that gives scope for some really inventive murder possibilities. The first body to be found; Truffles the owners dog, has come to an unfortunate end in a copper. 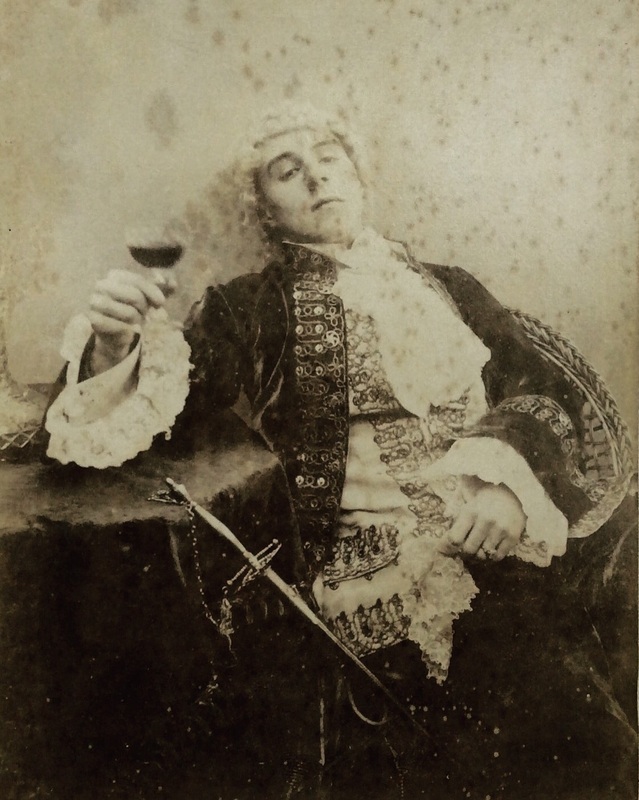 The second body - or what's left of it - is found in the pressure incidentally ruining a whole days beer), but who would choose such an elaborate way of killing a man? That's the first question that Nigel Strangeways has to answer and the key to the whole puzzle but there are a number of red herrings to be disposed of first. 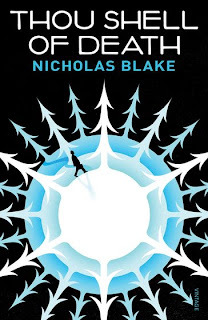 As in 'Thou Shell of Death' Blake misdirects suspicion from the culprit making them the one person it seems impossible could be the killer, it's a neat twist that sets up a fantastically tense finale. 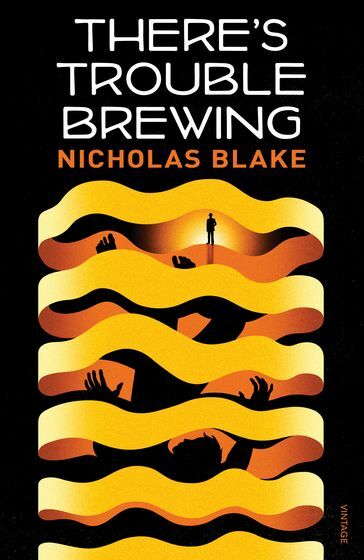 As I've said before the Nicholas Blake books are great fun, all the more so for the clear enjoyment Cecil Day-Lewis obviously has in writing them. Close scrutiny would make you question the likelihood of some of the plot, but then again it would also reveal more jokes and some striking imagery (it must be the poet showing). I really enjoy these books, it's going to cost me a fortune. The Queen's Gingerbread came from Dan Lepard's column in The Guardian, I'm almost annoyed with myself for making this my Jubilee bake because although Dan Lepard is excellent I feel our relationship is becoming a bit exclusive and there are still so many other cookbooks to flirt with (really I do get out of the house sometimes). On the other hand Queen's Gingerbread is egg free (good for L who is severally allergic), highly spiced with flavours that give more than a nod to the first Elizabethan age, and was quite unlike anything else I've baked before. It was also quite quick and easy, goes down a treat with tea, and made a huge amount that's perfect for sharing around. After a picnic in the comfort of L's dining room we went to the Astley Book Farm and although both the blond and I were sure we knew the way we managed to miss not one, but two, junctions on the motorway (I blame the rain which made for appalling visibility...) when we finally managed to send ourselves southbound again it was only to go twice round a roundabout before eventually still taking a wrong turn - the back streets of Bedworth on a rainy Sunday are not precisely the spot I'd choose to find myself in. Fortunately L clearly had an accurate (if unflattering) opinion about our ability to get from A to B and had bought a sat nav, ten minutes later we were parked up had managed to stop laughing hysterically, and saw the SALE sign. The book farm provided bunting, a marquee that smelt of slightly damp canvas and grass, and a very enjoyable conversation about Dorothy Whipple with the owners - I don't think I could have had a better day. Line the base of a 20 cm square baking tin with greaseproof paper and set oven to 180 degrees/gas 5. Gently melt the butter, remove from heat and add the sugar, treacle, and honey - mix well. Throw the flour, spices, and bicarb into a bowl making sure they're lump free, stir in the treacle mix and dried fruits until a nice stiff dough is formed. Press this down into the baking tin making sure it's nice and level then press in the almonds. Bake for 25 mins until it's all evenly puffed up, remove from the oven and allow to cool in the tin before cutting up. 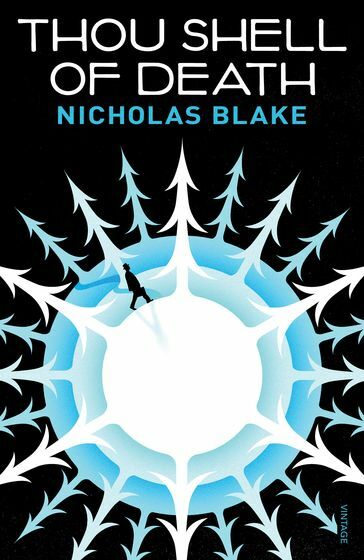 I had quite grand reading plans at the beginning of the week but work has been hellish (don't doubt that Royal events are good for business - there isn't enough cheap cava in all of Spain to keep my customers happy, which is probably why I get to deal with them miserable) and so I've been binging on Nicholas Blake's. 'Thou Shell Of Death' is Nigel Strangeways second outing, he's lost his tea drinking habit (a shame) and his love of heavy blankets (not such a shame) and is an altogether more series proposition. The mystery centres around a World War One flying ace - Fergus O'Brian. O'Brian is a press hero due to his daring Biggles like activities during the War and after but someone has been sending him anonymous letters threatening to kill him on boxing day. The result is a classic country house mystery with the full compliment of ill assorted guests (including thumping great blonde) and a rising body count. The twist in the tale is quite intriguing, in more than one way the murderer commits the perfect crime, and although they're eventually unmasked it's arguable that they get away with it too. The real pleasure though is in the fun that Cecil Day Lewis is having as Nicholas Blake; I enjoy his moments of snobbery, especially when they take the form of disparaging comments on grocers port. There are snappy one liners and puns - something else I'm fond of - and generally the book's a really good ride. There are moments which don't bear terribly close inspection in terms of plotting - an over reliance on quite amazing intuition, but it doesn't diminish the fun of it all which I imagine is a direct reflection of how much fun Day-Lewis was having as Blake. I love these books and am delighted to have found them through these reprints. If you like golden age crime these are gold dust.